As companies grow and embrace remote work, they’ll likely have employees scattered across the country, or perhaps even around the world. One challenge presented by such a widely distributed workforce is large and obvious: time. 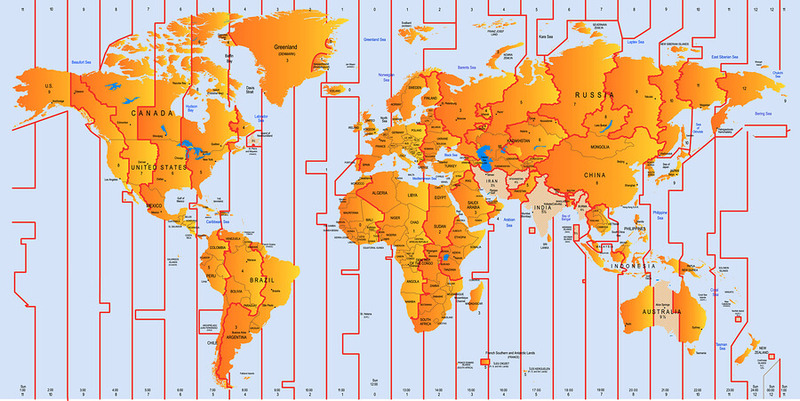 It’s not intuitively easy to communicate and collaborate while working across different time zones. If you’re completing a task just as the person who needs to review it is going to bed, you’ll lose hours—and perhaps a full day—of productivity. That’s why it’s key to plan ahead carefully, and take steps to alleviate these kinds of problems. And as you do, you may find that you’re enjoying some unique benefits by employing or working with those far-flung colleagues. Communication is always the most important factor for successful flex work for both employer and employee (frankly, for all work, flexible or not). But when you’re dealing with time zone challenges, it’s even more vital. Make sure you understand the communication styles and preferences of all of your workers, so your interactions can be efficient and effective. Be aware of the culture and customs of your workers, as that could affect communication. And finally, make sure they can get the tech and other support they need, no matter what time it is in the home office. Just as basic communication is important, so also is team building. But it can be difficult for people to chat and strengthen ties with each other when they’re operating on different schedules and almost never meet face-to-face. Create an online hangout that’s always “on” and available. There are dozens of apps available for this kind of thing, and they can allow for more casual conversation among team members, even if it’s not always in real time. Determine what your “home” time will be, and prepare for overlap. This advice comes from a Fast Company article, which recommends that even companies that don’t have a formal headquarters location declare a “home” time zone to help set expectations. Be mindful of your meeting schedule. As your virtual workforce grows, it’s going to become more difficult to find meeting times that work for everyone. But that’s no excuse for scheduling events at whatever time is most convenient for you, regardless of the others on your team. Every time you set a meeting, consider what time it will occur for each of your team members. Do your best to include as many as possible during regular working hours, even if that means starting a little earlier or staying a bit later than usual in the home office. Remote workers will understand that they’ll need to expect meetings at unusual times now and then, but the more you can do to reduce such instances, the happier everyone will be. They’ll also appreciate it if you avoid scheduling videoconferences when they are just waking up or getting in bed. Make it easy to collaborate. Even if your teammates work from their homes in other cities or countries, you’ll still need to collaborate on projects. If a remote worker is storing documents on her computer’s hard drive, no one else will be able to access them. And she might not be available to help until hours after the information is needed. If you have all important documents shared in the cloud, however, they’ll be accessible by all team members whenever they are needed. By allowing collaboration in this way, you should be able to meet deadlines despite the time shifting caused by people working in different areas of the world. The flexibility to hire anywhere gives you a much broader recruiting pool. You can hire the perfect person for your open position, no matter where she lives. Your team can be working around the clock. While you’re sleeping in the United States, your colleagues elsewhere in the world are awake and able to respond to situations that require immediate attention. Diverse teams are stronger. When it includes people from different cities, states, countries, and cultures, your team will benefit from an influx of new ideas and points of view that should enhance creativity and help you develop unique solutions to problems. Instead of shying away from the challenges of working with colleagues who are spread across different time zones, both employees and managers can benefit from addressing those difficulties and focusing on the rewards of building a strong global team. What other benefits come from building teams across time zones? What are some of the other challenges, and how can a business overcome them? Please share your ideas in the comments section.